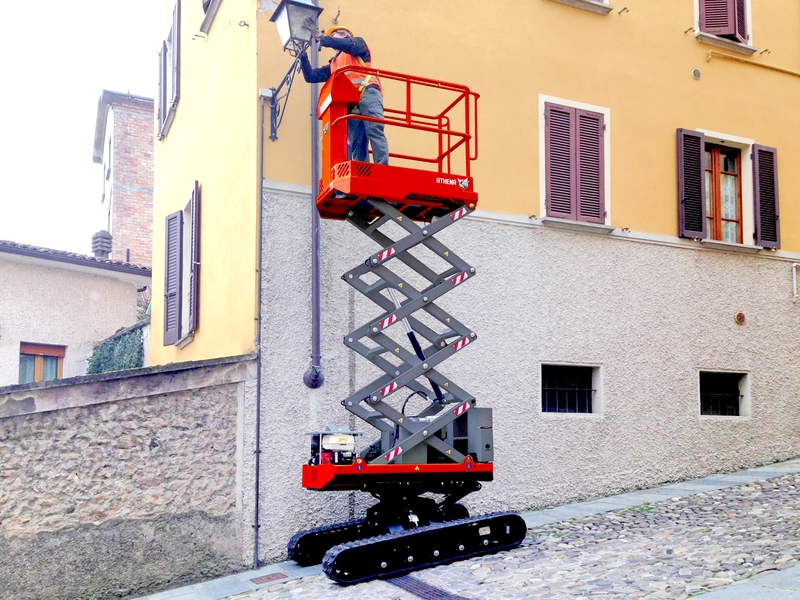 ReachMaster introduces BIBI Lift: small, compact scissor lifts that can travel places no other small scissor lifts have ever gone before for one reason: Tracks. 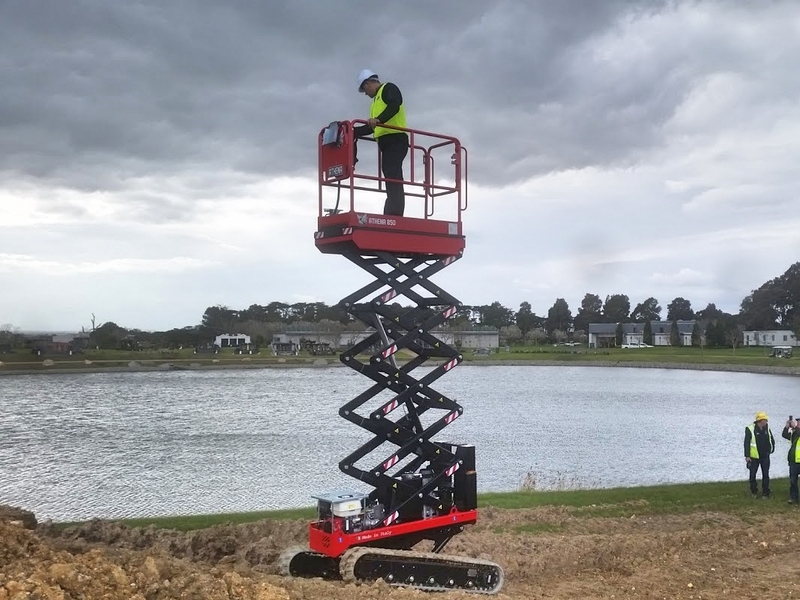 The genius combination of a small scissor stack on a track based chassis presents a complete new range of use for a much safer and more efficient way to get the job done than ever seen before. 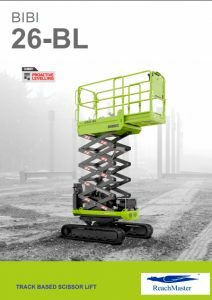 The BIBI 26-BL features a 25'11" working height, single door/gate access and has both a 220v electric motor and a Honda gasoline engine. 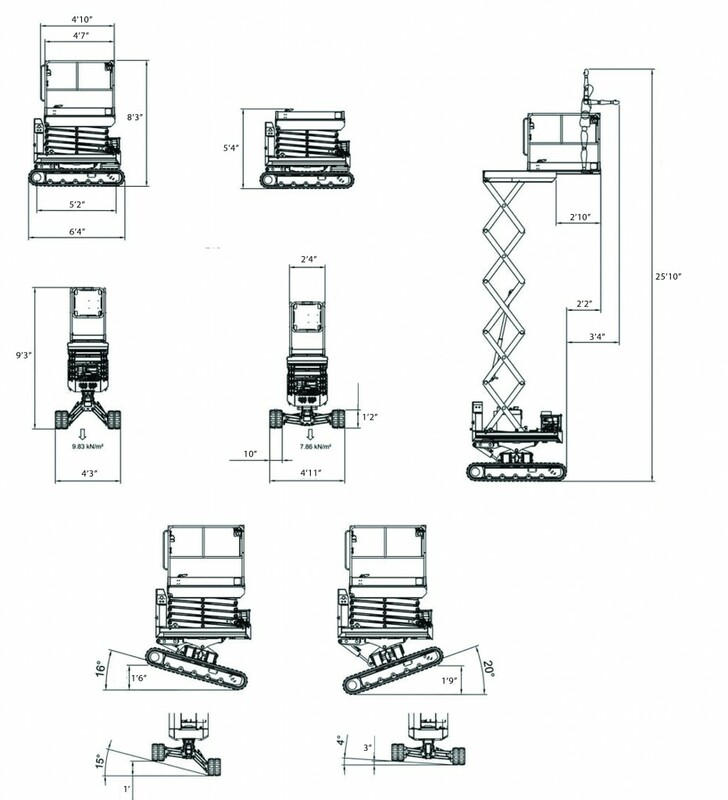 It has proportional controls, 550lbs basket capacity and weighs only 4400 lbs. 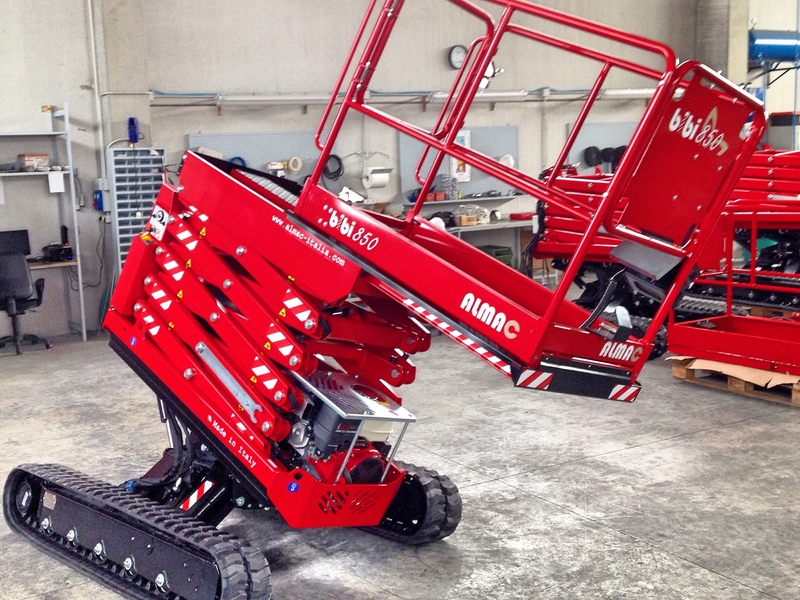 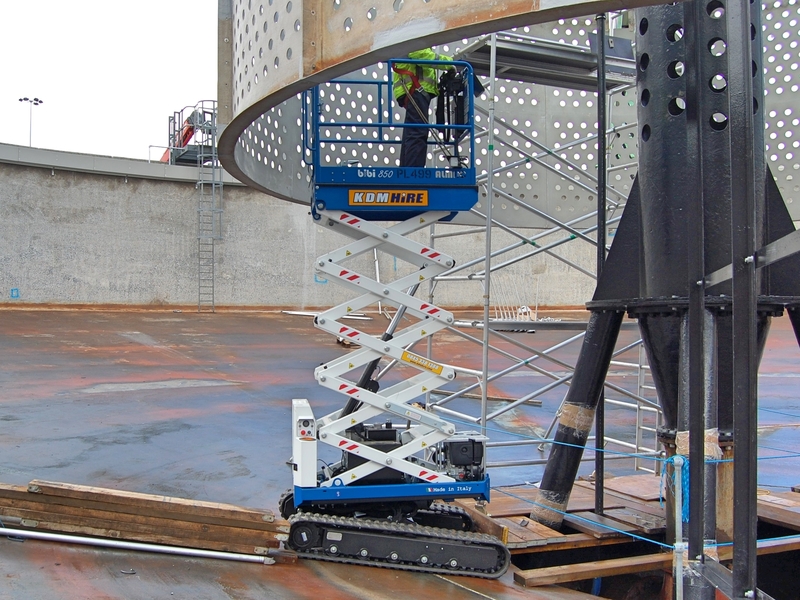 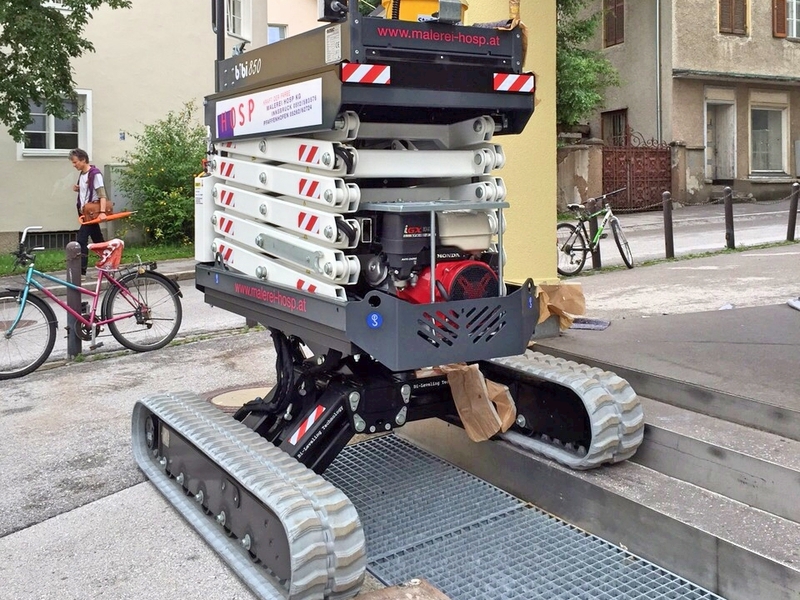 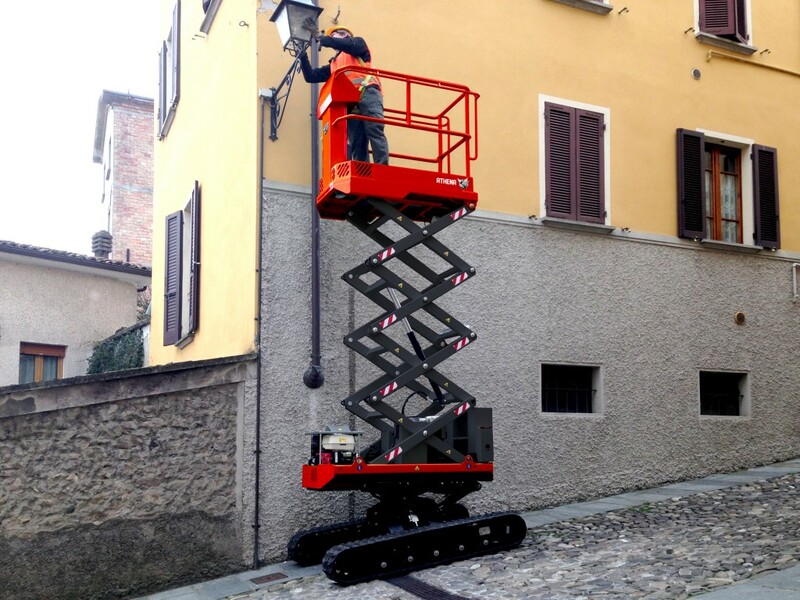 Thanks to its tracks the BIBI Lift can drive on sloped and soft surfaces, - a big no-no for standard scissor lifts. 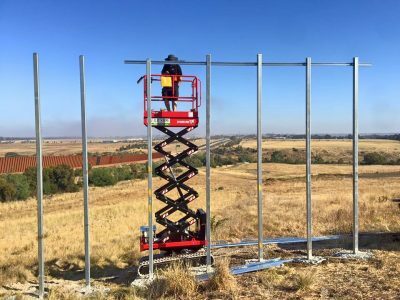 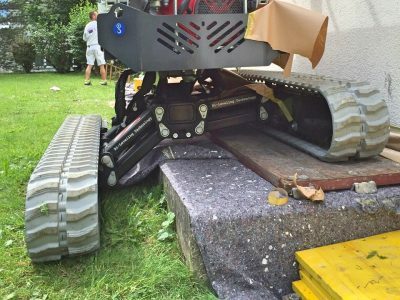 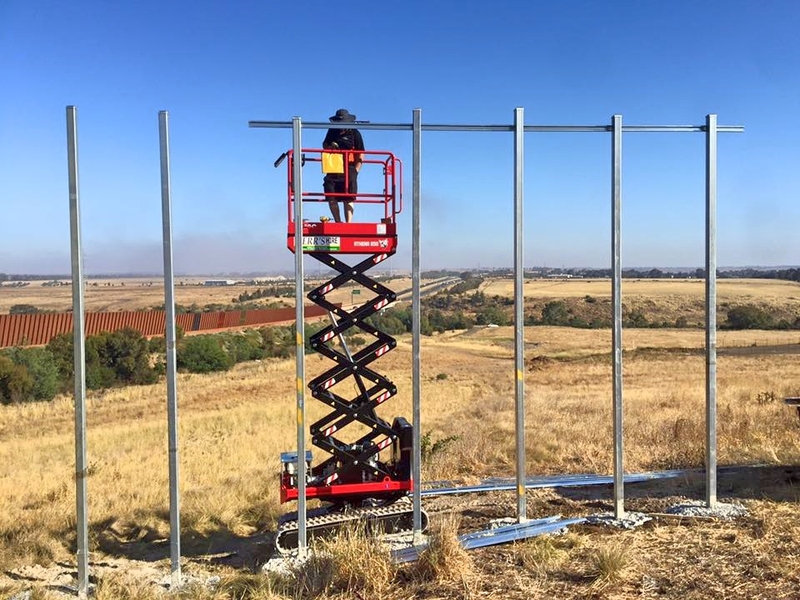 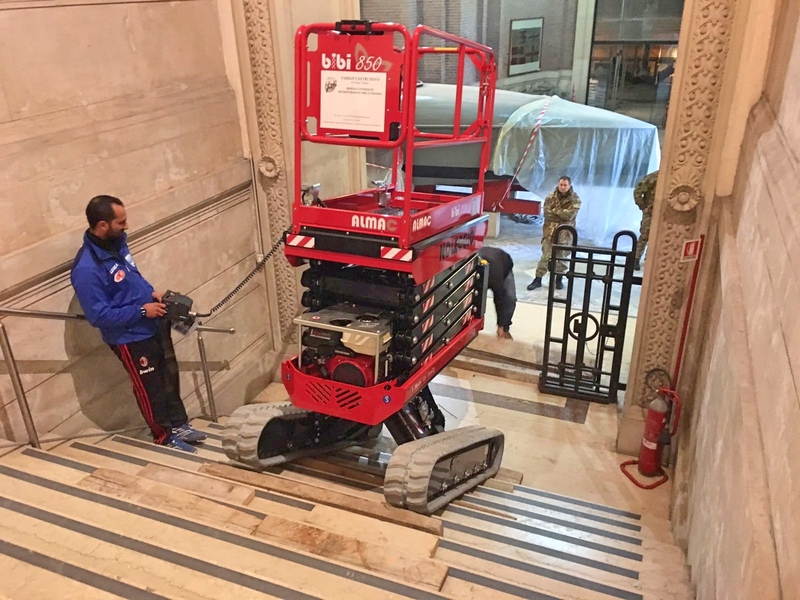 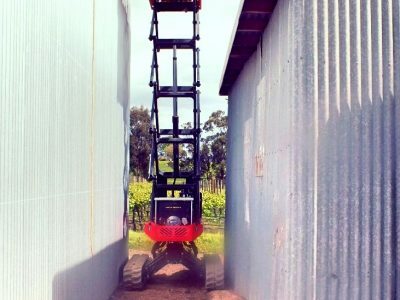 That alone is impressive, but that's the least revolutionary part of this lift: With the patent-pending Bi-Leveling feature the BIBI Lift 26-BL is able to set up and reach full height on sloped or uneven ground WITHOUT the use of outriggers - something that small scissor lifts have historically never had the capability to achieve. 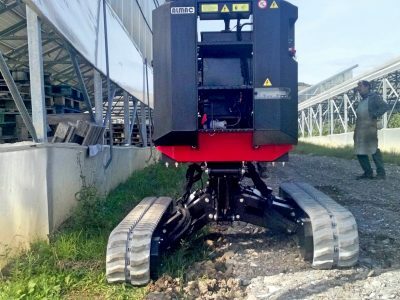 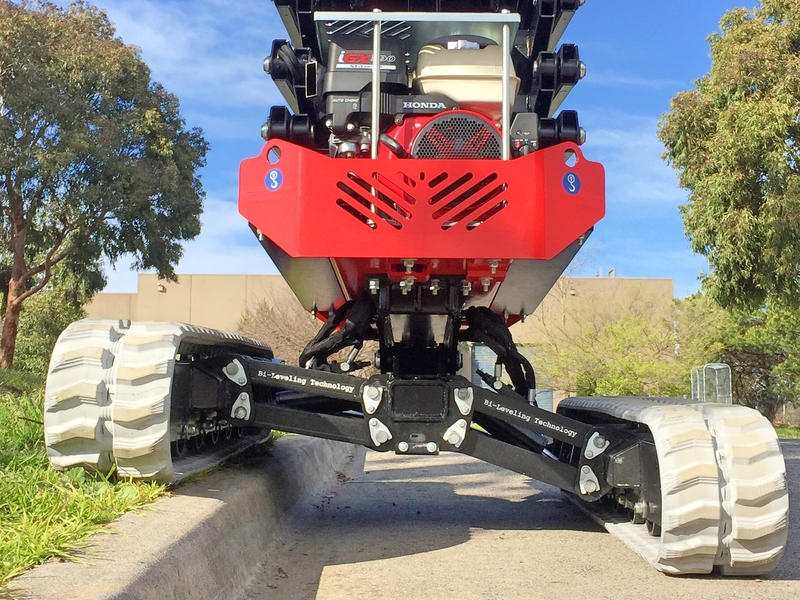 The BIBI Lift has a bi-leveling chassis for up to 25° gradeability and adjustable tracks that can accommodate a 21° side slope.